Bachelor of Science in Education in Health, Sport and Exercise Science, Unversity of Kansas, 2000. Kirstin has always been very interested in health and anatomy. 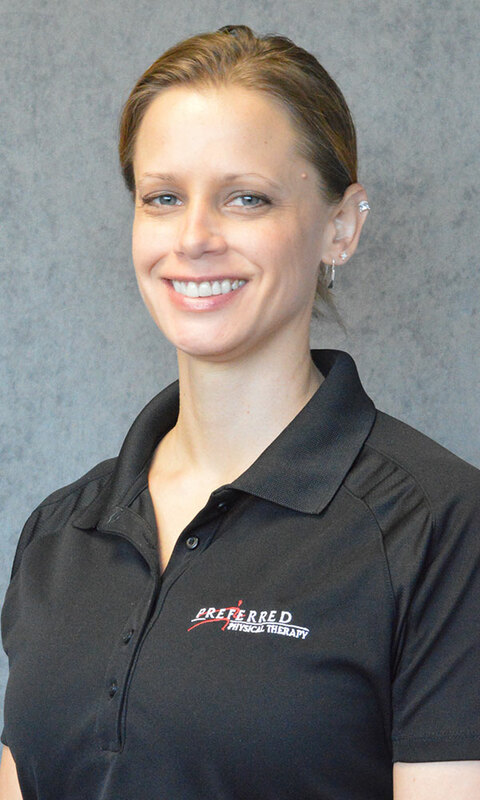 She felt Physical Therapy blended these two interests perfectly and made her decision to pursue a career as a Physical Therapist. Kirstin experienced some issues after the birth of her children which caused her to do lots of research. The research sparked her interest which lead her down the path of Women’s Health as a focus area. Kirstin finds now that she really enjoys working with and educating women who are dealing with pelvic floor issues. Kirstin is married and has two daughters. She has lived in the Kansas City Metro area for her whole life.